I’ve saved 229 papers from 2007 in my References database. Here are some of the ones I was especially struck by this year. This doesn’t necessarily mean “most significant”, or “most dramatic”, or anything other than “I thought they were cool”. 1. Apetoh, L., Ghiringhelli, F., Tesniere, A., Obeid, M., Ortiz, C., Criollo, A. et al. (2007). Toll-like receptor 4-dependent contribution of the immune system to anticancer chemotherapy and radiotherapy. Nat Med, 13, 1050 – 1059. Suggests that the real reason chemotherapy works is not that it kills the tumor cells, but rather that the tumor cells are rendered capable of priming the adaptive immune system; it’s the immune system that actually does the work of killing off the tumor. I talked about this paper here. 2. Brault, A. C., Huang, C. Y., Langevin, S. A., Kinney, R. M., Bowen, R. A., Ramey, W. N. et al. (2007). A single positively selected West Nile viral mutation confers increased virogenesis in American crows. Nat Genet, 39(9), 1162-1166. An example of how a small change in a viral genome can make a huge change in its pathogenesis — this West Nile virus mutant is more lethal to crows. Read this one in conjunction with LaDeau, S. L., Kilpatrick, A. M., & Marra, P. P. (2007). West Nile virus emergence and large-scale declines of North American bird populations. Nature, 447(7145), 710-713. I talked about West Nile Virus here, though not so much about these papers. 3. Flutter, B., Fu, H. M., Wedderburn, L., & Gao, B. (2007). An extra molecule in addition to human tapasin is required for surface expression of Î²2m linked HLA-B4402 on murine cell. Mol Immunol, 44(14), 3528-3536. Evidence that there is still at least one unidentified molecule that’s important for antigen presentation. Mainly interesting to me because it reflects my own paper from 2005 that shows the same thing. The description of this phenotype isn’t identical to my mutant cell line, but I suspect it’s the same molecule. 4. Garrison, K. E., Jones, R. B., Meiklejohn, D. A., Anwar, N., Ndhlovu, L. C., Chapman, J. M. et al. (2007). T Cell Responses to Human Endogenous Retroviruses in HIV-1 Infection. PLoS Pathog, 3(11), e165. Endogenous retroviruses, the withered corpses of ancient retroviruses that litter our genome, are partially reanimated by HIV infection. The newly-expressed HERV proteins are recognized by T cells, potentially offering a non-mutating target that might enable T cells to recognize HIV-infected cells. 5. Koebel, C. M., Vermi, W., Swann, J. B., Zerafa, N., Rodig, S. J., Old, L. J. et al. (2007). Adaptive immunity maintains occult cancer in an equilibrium state. Nature, 450(7171), 903-907. Cancers arise from normal cells through a multi-step process; immune system evasion is one critical step in this process. It’s been proposed that nascent cancers may spend years in an undetectable state, suppressed by the immune system. Here is more or less direct evidence for this equilibrium state. I talked about this paper here and here . 6. Kotturi, M. F., Peters, B., Buendia-Laysa, F. J., Sidney, J., Oseroff, C., Botten, J. et al. (2007). The CD8+ T-cell response to lymphocytic choriomeningitis virus involves the L antigen: uncovering new tricks for an old virus. J Virol, 81(10), 4928-4940. Mainly a technological advance in T cell epitope identification, but a dramatic example of how much there is to learn even in this very well-studied virus system. Also offers a really dramatic example of immunodominance. I talked about it here, among other places. 7. Munks, M. W., Pinto, A. K., Doom, C. M., & Hill, A. B. (2007). Viral interference with antigen presentation does not alter acute or chronic CD8 T cell immunodominance in murine cytomegalovirus infection. J Immunol, 178(11), 7235-7241. Viruses have long been known to block the class I major histocompatibility complex antigen presentation pathway, and the presumption has been that this allows the virus to avade detection and destruction by cytotoxic T cells. 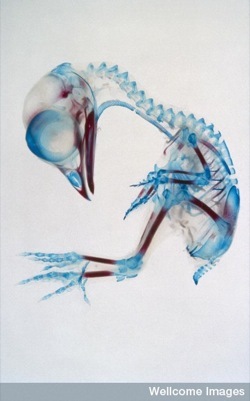 But this has mainly been a presumption because the work is mainly in cultured cells, rather than in real animals. Here Ann Hill’s group continues their work looking at immune evasion molecules in authentic infections — and show that they have amazingly little impact on the infection or the immune response. I talked about it here. 8. Siddle, H. V., Kreiss, A., Eldridge, M. D., Noonan, E., Clarke, C. J., Pyecroft, S. et al. (2007). Transmission of a fatal clonal tumor by biting occurs due to depleted MHC diversity in a threatened carnivorous marsupial. Proc Natl Acad Sci U S A, 104(41), 16221-16226. Tasmanian Devils are being killed by an infectious tumor, which apparently can spread because Devils are not very diverse at their major histocompatibility complex region — the region that usually serves to prevent graft “takes”, which is essentially what this tumor is doing. I discussed this paper here, along with the even more interesting canine transmissible venereal tumor. 9. Stemberger, C., Huster, K., M., Koffler, M., Anderl, F., Schiemann, M., Wagner, H. et al. (2007). A Single Naive CD8+ T Cell Precursor Can Develop into Diverse Effector and Memory Subsets. Immunity, 27(6), 985-997. How many T cells are there that recognize a particular antigen, and how much expansion do they undergo to form the immune response we all know and love? I talked about a previous paper that counted T cells — here is evidence that a single cell can form multiple branches of an immune response. 10. Verjans, G. M., Hintzen, R. Q., van Dun, J. M., Poot, A., Milikan, J. C., Laman, J. D. et al. (2007). Selective retention of herpes simplex virus-specific T cells in latently infected human trigeminal ganglia. Proc Natl Acad Sci U S A, 104(9), 3496-3501. Herpes simplex virus has traditionally been believed to enter a latent state in human trigenimal ganglia during which no viral proteins are produced. This paper is one of a series that shows that the immune system recognizes neurons latently infected with HSV, which strongly suggests that there is some very low-level protein expression, offering a mechanism by which the virus can interact with the world outside its neuron. I talked about it here. 11. Wearsch, P. A. & Cresswell, P. (2007). Selective loading of high-affinity peptides onto major histocompatibility complex class I molecules by the tapasin-ERp57 heterodimer. Nat Immunol, 8(8), 873-881. 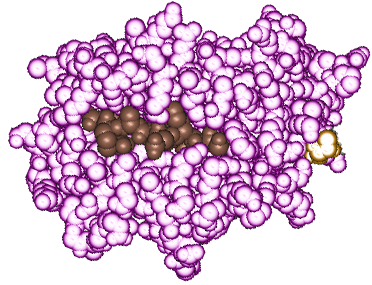 After years of trying, here at last is efficient in vitro MHC class I peptide loading. I talked about it here. 12. Zhang, S.-Y., Jouanguy, E., Ugolini, S., Smahi, A., Elain, G., Romero, P. et al. (2007). TLR3 Deficiency in Patients with Herpes Simplex Encephalitis. Science, 317(5844), 1522-1527. Herpes simplex encephalitis is a rare, but devastating, complication of herpes simplex infection. Here Zhang et al show that a defect in TLR3 — not generally associated with HSV — is associated with this disease. I talked about the paper here. My last post talked about various species that have limited MHC diversity in their population. I got carried away and forgot to mention the paper that actually prompted that long ramble. The result of this non-diverse antigenic presentation could be a poor T-helper stimulation (considering the numher of different T clones stimulated), resulting in an extremely low cytokine synthesis and the absence of any cellular co-operation. –which makes little sense to me; the authors seem to have confused population diversity with individual diversity. Our results clearly overturn the supposition regarding lack of DAB polymorphism in A. mexicanum. Evidence for balancing selection summarized above also casts doubt on the more general proposition that this species is immunodeficient, although the small sample size limits the strength of this conclusion. The major histocompatibility complex is by far the most diverse region of vertebrate genomes; except when it isn’t. Since on the one hand it’s generally accepted that MHC genes are diverse in order to protect against pathogens, and on the other hand the precise mechanism driving diversity is controversial,1 it’s interesting to look at the species in which MHC is not particularly diverse. Are they particularly susceptible to pathogens? And is there an explanation for the lack of diversity? I’ve mentioned a number of cases previously. Tasmanian Devils apparently have quite limited MHC diversity ,2 as do a number of other species including giant pandas,3 European beavers,4 Spanish ibex,5 and, perhaps most famously, cheetahs. Most of these species are, as you can see, endangered. There are likely two important reasons for that: (1) Population bottlenecks lead to reduced genetic diversity, so endangered species (which have presumably been through a bottleneck relatively recently) are likely to have limited diversity; and (2) It’s easier to get funding to sequence the MHC from charismatic endangered species than from dirt-common starlings or what-not. Although I believe the diversity at the MHC of these fox populations is still relatively low, it’s probably greater than some of the other populations I’ve mentioned here, such as the Tasmanian Devil, which have larger populations now and historically had more distant and less severe bottlenecks. Cheetahs are the most famous example of an inbred population following a drastic population bottleneck; many people know that putatively-unrelated cheetahs can mutually tolerate skin grafts (a function of MHC similarity, of course),7 and lots of people also know that cheetahs are more susceptible to disease because of this limited diversity. In fact there’s ample evidence that populations with limited MHC diversity can do just fine out there. 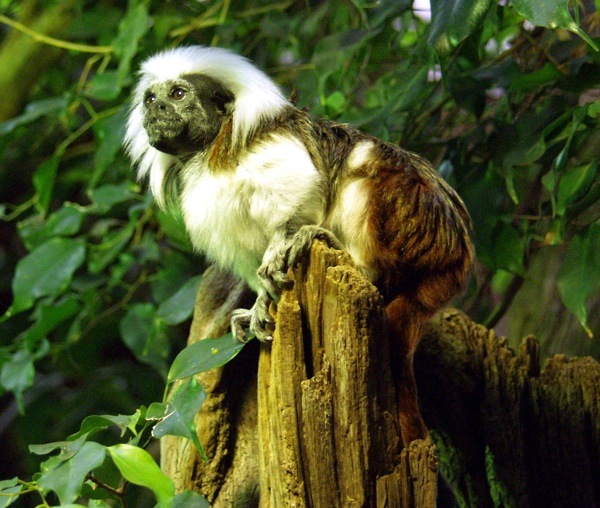 North American and European moose, 10 cotton-top tamarins, 11 and marmosets 12 have been claimed to have little MHC diversity. These species, like the cheetah, may indeed reflect limited populations a long time ago — moose apparently underwent a bottleneck around 10,000 years ago, about the same time as cheetahs; I don’t know about the other species — but the point is that no one is pointing to every sick moose and claiming that’s because of limited MHC diversity. What’s more, as the San Nicolas Island fox demonstrates, it’s possible to regenerate MHC diversity very fast — in hundreds rather than thousands of years; why didn’t cheetahs and moose do so? Probably because they didn’t need to, rather than couldn’t. Limited MHC diversity is not an absolute barrier to species success. This should be pretty obvious, thinking about introduced species. There are over 100 million starlings in North America now, which arose from the 160 birds released just over 100 years ago in New York — how much MHC diversity could they possibly have? 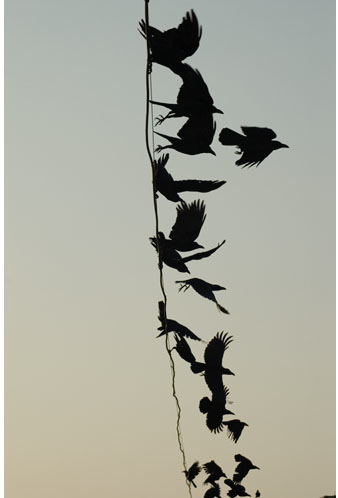 13 Yet it was North American crows, not starlings, that were devastated by West Nile virus . Similarly, Australian rabbits, and rats around the world, have had huge populations arise from tiny numbers of founders, yet are not notorious for epidemics (except for artificially-introduced epidemics, in the case of Australian rabbits, and these are as remarkable for the rabbits’ resistance more than for their susceptibility). So what’s the explanation? If pathogen pressure drives MHC diversity in almost all vertebrates, why do these vertebrates seem to do just fine with their limited diversity? Are these the exceptions that prove the rule, with hundreds of other introduced species disappearing because they didn’t have the right diversity? 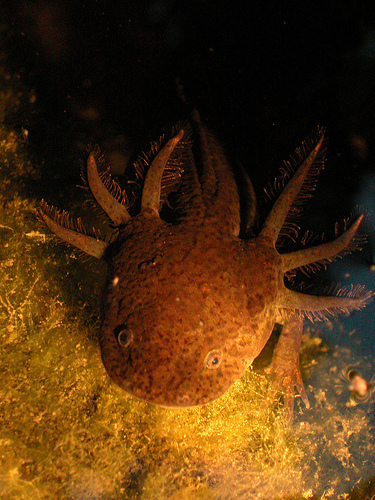 Are these species just the lucky ones, or just temporarily lucky and awaiting the right virus? I don’t know the answer, but if anyone has any ideas, let me know. I’ll pause so you can write that down. Why was smallpox eradicated, where four other global eradication campaigns3 failed? What was special about smallpox and its vaccine? What are the factors that allowed this disease to be reduced from millions of cases per year, to none? And, most to the point, what aspects of smallpox eradication are applicable to malaria? Has no animal host. If you can eradicate the disease in humans, it won’t re-emerge from a mouse, or monkey, or bat reservoir — compare to yellow fever, for example. Has no persistent phase. Smallpox either kills people, or they recover completely and eliminate the virus. In either case, if there are no clinical cases over a reasonable period, then you can be confident that there is no more virus. 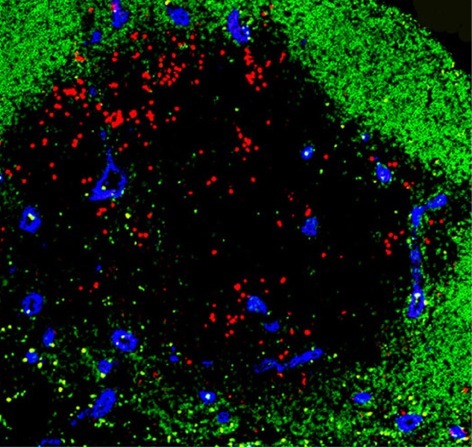 Induces long-term immunity in survivors. Was a fearful enough disease that the political will to eradicate it lasted through the campaign. 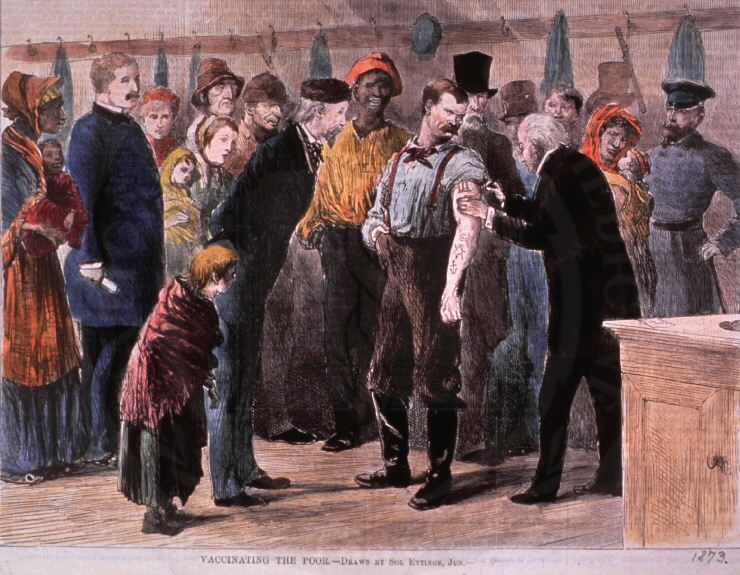 Smallpox vaccination continued throughout civil wars and other upheavals. Induces very long-term immunity with a single dose. Vaccinia virus induces a memory, and probably protective, immune response for an extraordinarily long time — response have been shown for up to 60 years. Is relatively stable and easy to transport and deliver. With large-scale vaccination campaigns, logistics become the limiting factor, especially as the campaign progresses and the final reservoirs of disease may be in remote, third-world areas. Leaves a marker of treatment. Vaccinated people usually had a small scar at the site of scarification, so that it was possible to identify susceptible people and protect them. There were also a vast number of technical and logistic components that, I think, are mostly applicable to any eradication program (for example, the cost per dose of a vaccine is much less if the vaccine can be prepared in large, multi-dose vials; but that means you need to use the vial up all at once, which means in turn organizing large numbers of vaccination on a single day; and that in turn implies an efficient communication network and so on), and which I won’t talk about here. There’s a fascinating review in Henderson, D. A. (1987). Principles and lessons from the smallpox eradication programme. Bull World Health Organ, 65(4), 535-546. if you want to learn more. Combe, George. 1847. The Constitution of Man and Its Relation to External Objects. Edinburgh: Maclachlan, Stewart, & Co., Longman & Co.; Simpkin, Marshall, & Co., W. S. Orr & Co., London, James M’Glashan, Dublin.It’s important to point out that eradication of a disease is possible when not all of these factors are matched — poliovirus, which is almost eradicated (and could have been eradicated altogether with a bit more political help) is different in several ways. But it does offer a checklist for known success. How does malaria match up? May have an animal reservoir. Apes can be infected experimentally, and are sometimes naturally infected. This is not a practical issue today, where the animal reservoir is negligible, but if human infection is reduced an animal reservoir might serve as a source for reinfection. Does have a persistent phase. This is especially a concern since partially-immune people (common in endemic areas) can be infected and trasmit the disease without showing clinical symptoms — again, a potential reservoir of re-infection. Does not consistently induce protective immunity. Is a terrible scourge, but one to which the world has become accustomed. Is there the will to take on the cost of eradication? 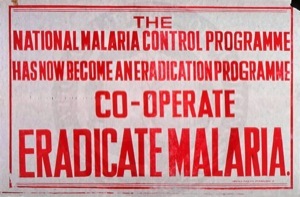 The last attempt at malaria eradication — which failed — cost a billion dollars. As Melinda Gates pointed out, the cost of the disease in perpetuity is greater than the cost of eradication, but the costs come from different places. 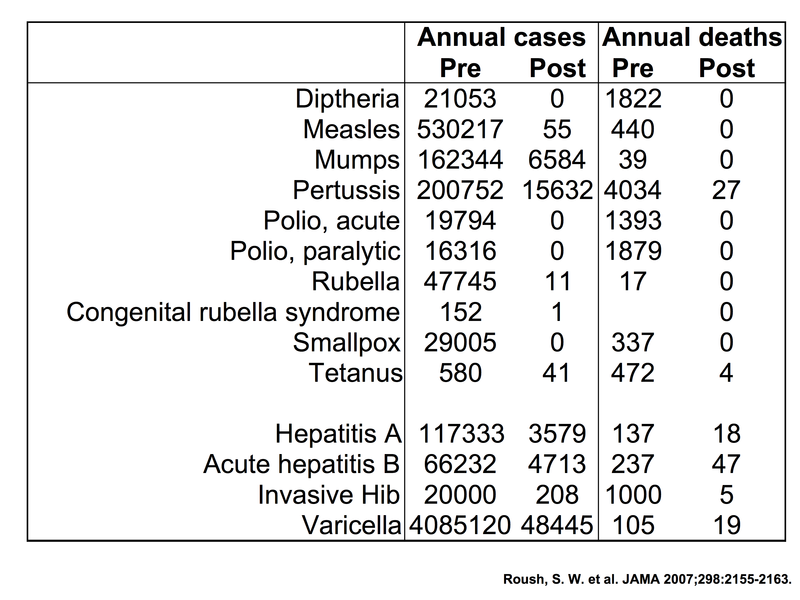 Since there are no effective malaria vaccines as yet, we can’t very well compare them to the smallpox vaccine. I don’t know enough about the irradiated vaccine that will enter trials next year, but the “RTS,S/AS02D” vaccine in phase I/II trials5 requires multiple doses and apparently offers relatively low protection — certainly better than nothing, if this holds true through phase III trials, but it’s hard to imagine that it’s sufficient for eradication. To eradicate malaria, you have to end transmission — and there are multiple points where you can intervene. Reduce the number of infected mosquitoes. Keep mosquitoes from biting people. Keep people who are bitten from getting infected. Keep people who are infected from transmitting malaria back to mosquitoes. Vaccines are good candidates to help with the last two points, and may help with the first. But overall, this is a more complex problem than smallpox. 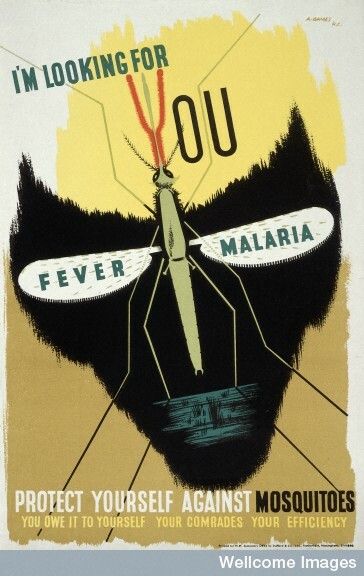 Nevertheless, smallpox eradication has plenty of lessons for malaria, as well. Of course, I’ve been beaten to the big cartoon punch. When I first heard about polydnaviruses, about ten years ago, I realized that I could never be as cool as a microgastroid wasp.2 Microgastrinae and Campopleginae are parasitoid wasps that have (apparently independently) managed to set up a spectacular symbiotic relationship with polydnaviruses. The wasps are predators of other insects; they lay their eggs on caterpillars or aphids or whatever, the eggs hatch, and the wasp larvae eat their host from the inside out, finally emerging as new adult wasps. Understandably, the host caterpillar is not all that enthusiastic about this process, and attempts to defend themselves with an immune response to the wasp larvae. In an effective immune response against endoparasitoids, the host’s immune cells (hemocytes) will encapsulate the parasite, wrapping it up and walling it off from the host. 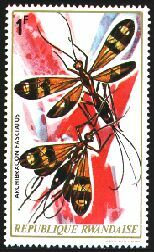 3 Successful parasitic wasps (of which there are a huge number; this is a very popular ecological niche) must avoid their dinner’s immune system, and there are many different routes to to this goal. Now hold that thought for a moment while I change the subject to viruses. One characteristic of a successful virus is that it must, to some extent, avoid its host immune system. I’ve talked about that in mammalian viruses , and insect viruses are in principle no different. Insects don’t have an adaptive immune system (though see some discussion of that here and here), and insect viruses therefore have to deal with mechanisms like recognition and encapisidation by hemocytes. You see where this is going. 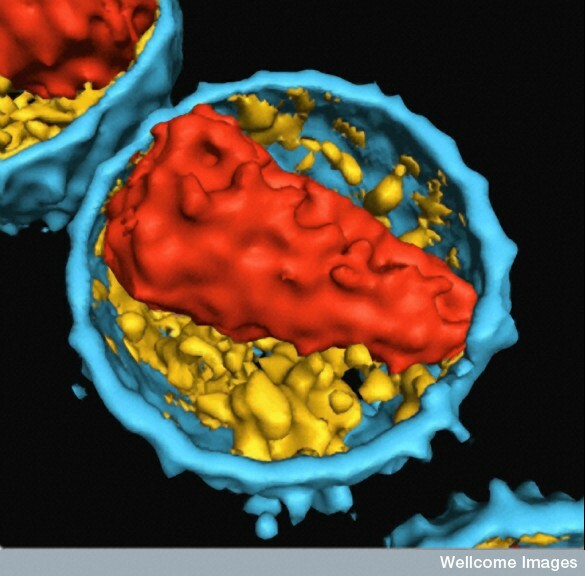 Some 75 million years ago,4 wasps set up a symbiosis with viral pathogens of the wasps’ prey. The wasps use the virus’s immune evasion functions — of which there are a huge number5 and which, as well as being interesting in their own right, have obvious potential uses in pest control — to avoid elimination by their host’s immune system. And what do the viruses get out of it? They get free replication out of it: They’ve become completely integrated into the wasp genome. They’re no longer a free-living6 entity; they do not replicate in the cells of the host, nor do they replicate independently in the wasp cells. The only way the viral genome can make a new viral genome is in the genome of the wasp that they are helping parasitize a new host. A more parsimonious hypothesis would be that bracoviruses do not originate from any of the large genome viruses characterized to date. They may have been built up from a simple system producing circular DNA intermediates, such as mobile elements, within the wasp genome. The acquisition of a capsid protein, possibly of viral origin, around the circular DNA intermediates would have allowed infection of lepidopteran cells. Finally, virulence genes could have been acquired from the wasp genome at different times during evolution of bracovirus-bearing wasp lineages, thus explaining why CcBV genes encoding proteins with a predicted function resemble cellular genes. 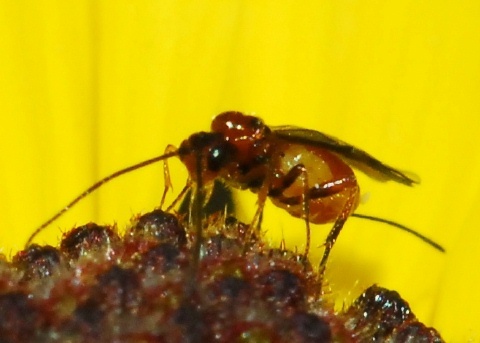 In any case, this approach has turned out to be incredibly successful, with tens of thousands of parasitic wasps making use of these bioweapons. Recent examples include — Beck, M.H. & Strand, M.R. A novel polydnavirus protein inhibits the insect prophenoloxidase activation pathway. Proc Natl Acad Sci U S A doi:10.1073/pnas.0708056104 (2007). A few years ago, one of the aspects of the immune system that puzzled me most was the shark immune system. It’s not that sharks have an immune system; everything has some form of resistance against parasites, or else they don’t exist any more. Nor is it surprising that sharks’ immune systems are really pretty similar to ours: They have T cell receptors that are generated through somatic recombination, they have MHC class I and II, they have T cells and B cells and a thymus — not to mention all the innate stuff that is also pretty similar. But sharks are really not all that far away from us, evolutionarily speaking, so it’s not astonishing that their immune systems are not far away either. What was astonishing to me is that this all (apparently) arrived all at once. 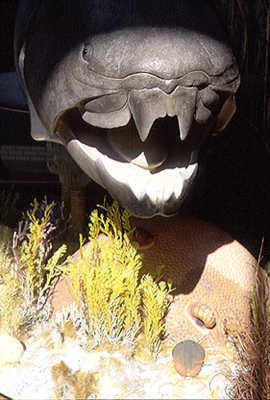 Lampreys and hagfish, with a common ancestor not far from sharks, did not (I thought) have any of those things. All the pieces, that need to fit precisely with each other to work at all, arose from nothing — an immunological Big Bang.1 That’s not how evolution is supposed to work. I assured myself that this just seemed puzzling, and probably once people started looking more closely at lamprey or hagfish immunity we would find that the common ancestor really did have some of these things, that were co-opted into the jawed-vertebrate immune system. And in the past five years or so, that’s pretty much what has happened. We are still in early days of lamprey immunology, but already we can see much of the foundation of the shark (and our) immune systems there. Sea urchins (which have a common ancestor with lampreys) have molecules that are much like RAG. 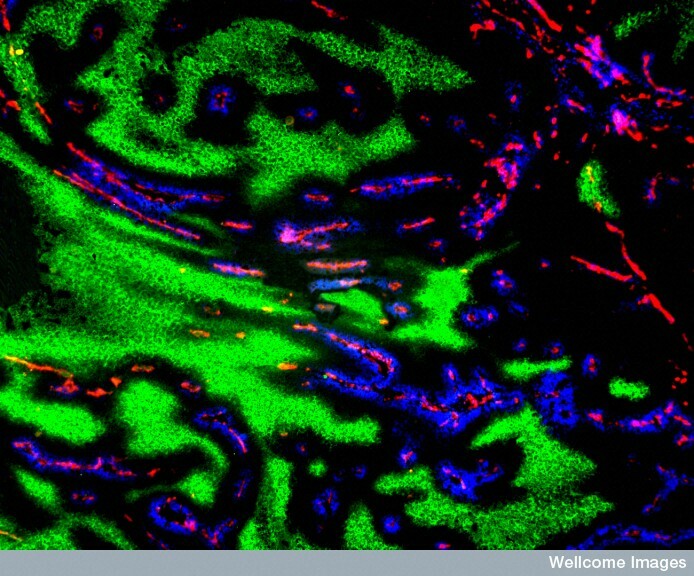 Lampreys have cells that are very lymphocyte-like.2 These cells accumulate in a region that looks quite thymus-like. Lampreys even have a proto-T cell receptor, and something very CD4-like,3 although as far as I know no MHC-like molecules have yet been identified. And yet there is still one big surprise. The most interesting part of the lamprey immune system is not so much the similarities to jawed vertebrates: it’s the differences. In sharks and their children, unto us, lymphocytes (T cells and B cells) make tremendously diverse receptors that can interact specifically with antigens. This diversity is produced using RAG recombination to make T cell receptors and antibodies. Lampreys also make an equally diverse, antigen-recognizing receptor in their lymphocytes — but their receptors look nothing like ours, and are generated using an entirely different system of somatic rearrangement! But there’s more! This mechanism of diversity in lampreys, which really is quite different from the TcR mechanism of recombination? It uses a cytosine deaminase! Why is that interesting? 7 Because a related cytosine deaminase (AID-APOBEC) is involved in human immunoglobulin class switching and maturation! 10 So even though lampreys have developed a different mechanism of receptor diversity, they (and therefore, probably, our common ancestors) use some of the same molecules that we use in our receptor diversity system. 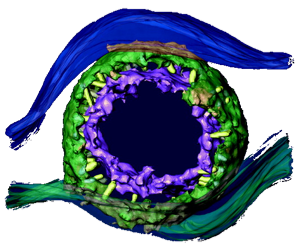 Five years ago, it seemed that the shark immunological Big Bang came out of nowhere. Now — exactly as we’d expect from evolution — we know that sharks adapted pre-existing systems, and that rather than a Big Bang there was more like a gradual accumulation of pieces that added up to a revolution. Shintani, S., Terzic, J., Sato, A., Saraga-Babic, M., O’hUigin, C., Tichy, H., and Klein, J. (2000). Do lampreys have lymphocytes? The Spi evidence. Proc Natl Acad Sci U S A 97, 7417-7422. Mayer, W. E., Uinuk-Ool, T., Tichy, H., Gartland, L. A., Klein, J., and Cooper, M. D. (2002). Isolation and characterization of lymphocyte-like cells from a lamprey. Proc Natl Acad Sci U S A 99, 14350-14355. 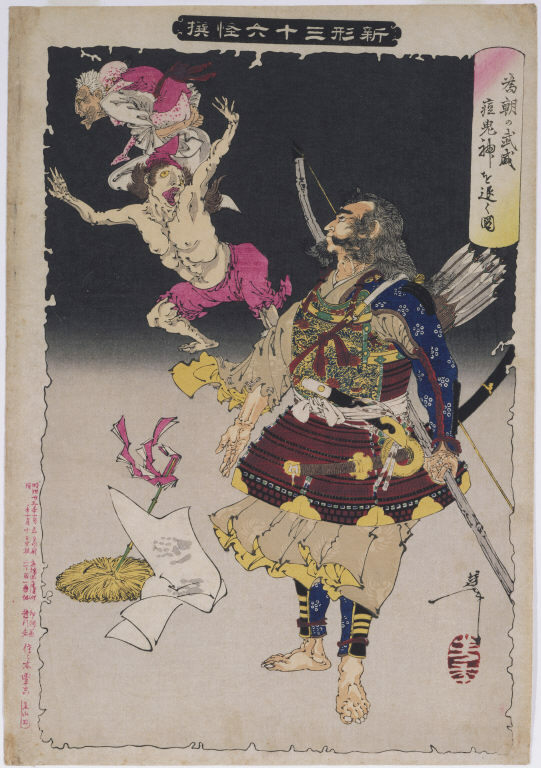 Nagawa, F., Kishishita, N., Shimizu, K., Hirose, S., Miyoshi, M., Nezu, J., Nishimura, T., Nishizumi, H., Takahashi, Y., Hashimoto, S., Takeuchi, M., Miyajima, A., Takemori, T., Otsuka, A. J., and Sakano, H. (2007). Antigen-receptor genes of the agnathan lamprey are assembled by a process involving copy choice. Nat Immunol 8, 206-213.